Home » Fly » How Much Can You Really Fit In a Carry-On Suitcase? How Much Can You Really Fit In a Carry-On Suitcase? During a recent conversation at work, I told my colleagues that I only travel with carry-on luggage. There’s the odd exception but as a rule, it’s carry-on only. I admit – it’s not easy … it’s taken some time for me to get it just right but with careful planning, I’m able to fit everything I need into a small and manageable suitcase. As I explained this to the girls I work with, a girl from another department joined in on the conversation. As I spoke, she looked at me with an expression that can only be described as equal parts disbelief and disgust. “It’s actually really easy,” I said coaxingly, trying to convince her. I’m not sure why. “And there are so many advantages to having just a carry-on suitcase,” I continued. She’s clearly had enough of the conversation and starts to walk (wobble) away. “Anyway, when I travel, I’m more interested in the experiences I’m having rather than what I’m wearing,” I can’t help saying as she walks by me. In addition to all of this, I’ve got an assortment of other odds and ends stuffed in there – India plug adapters, chargers for all of my tech toys, toiletries, hair accessories, a flat iron and two hair brushes. The key to fitting all the clothing lies in rolling each item into a tight, cylinder shape. You then lay everything side by side and when you’ve used up the width of your suitcase, you start stacking a second row on top. Rolling versus folding makes a BIG difference! Everyone keeps telling me I need to create a video to show you exactly how you can fit everything you need into a carry-on suitcase. Stay tuned – I’ll try to do something soon! 21 Comments on How Much Can You Really Fit In a Carry-On Suitcase? I agree with you 100%!! I only ever travel with a carry on bag and, even so, I still never wear all the outfits that I pack! I’m so happy I stumbled into your blog, so lovely. I just started a little travel blog myself, hope I get to write about as many cities as you have! Hi Maki – thanks so much for your comment. I just checked out your blog and it’s great – I love your photos! 🙂 Good luck with it and happy travels! Hi, I am planning a month trip to Vietnam. What size and brand is your roller suitcase? I loved your packlist, if I had all that I would be set? What do you typically put in your carry on from that list? Hi Liz – My suitcase is from Marks & Spencer in London and it’s a Longhaul Scorpius Hard Rollercase. It’s really small but you’d be shocked how much I fit in there. In fact, I fit everything that’s in that packing list above in there. I hope this helps and have an amazing trip! Would love to hear about it when you get back! Natalie. You’ve obviously never travelled on Virgin Atlantic or Virgin America. Their carry on weight limit is 6 kg. Your Scorpius luggage weighs in at 3.2kg empty. So your 13 dresses etc would have to weigh less than 2.8 kg. I reckon you’d probably only get away with a pair of shoes and a hankie! You’re right, Norma …I haven’t traveled Virgin Atlantic. However, I have traveled on 39 other airlines (one of which was actually Virgin America) without the slightest problem, so it’s working for me! Please post a vid or a diagram! I would love to see how you did this! Please post a video or diagram! I’d love to see how you do this! Hi Jane – are you asking about the shoulder bag pictured above? It’s a Louis Vuitton Neverfull. Thank you for the post, I enjoy reading posts like this since I like to travel! 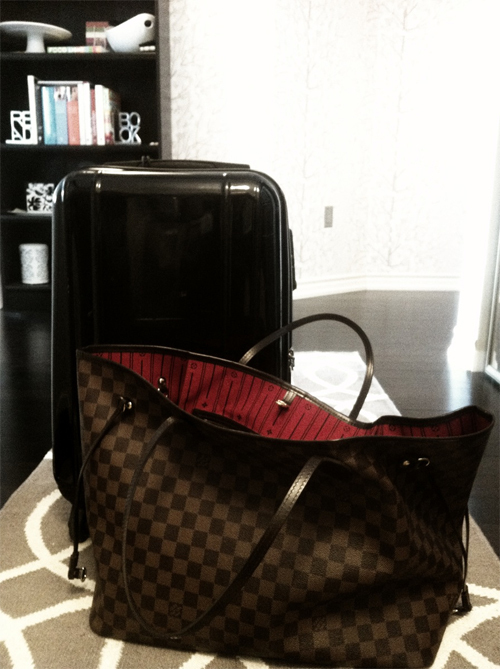 However, I am usually in a completely different situation – I am from Europe and most of our airlines don’t let you have two carry-ons so you need to pack you day purse into your suitcase as well and some are limiting the size of the carry-on so that you are able to bring just something like your Luis Vuitton. It’s starting to be a real challenge then. I had been living out of a travel suitcase for 6 years with all the traveling for jobs. Whenever I end up settling somewhere for a while I’m always gobsmacked at the amount of stuff people have accumulated and how much space they take up with it all. You can pretty much fit a life in your suitcase as you just buy to replace whats in there. Laptop,graphics tablet, sketchbook,E-reader, cloths and make sure there is an online backup for everything. I totally agree with you! I’ll never check a bag again! Rolling your clothes in a carry on is the way to go! 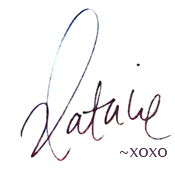 Hi Natalie… I discovered your blog a short time ago and really enjoying it– thanks! My goal this year is to do the carry-on thing (I’m a heavy packer and it frustrates me 🙂 Love the list you provide of what you took for the 2 weeks, very helpful. Summer seems easy with all the dresses, what about the winter trips? Look forward to your video when you post it. 2Pingbacks & Trackbacks on How Much Can You Really Fit In a Carry-On Suitcase?